The Philippine Red Cross (PRC) is on track to deliver scaled up and more accessible services as the humanitarian organization boosts its response capacity in local communities. Now on its 72nd year, PRC puts more emphasis on its regionalization approach, where the organization’s assets will be strategically positioned in different provinces to conduct faster response in times of disasters and emergencies. PRC has identified 12 regional hubs namely La Union, Nueva Vizcaya, Subic, Batangas, Naga, Albay, Leyte, Passi City, Zamboanga City, Davao del Sur, Iligan, and Surigao del Norte. “The humanitarian challenges that our country faces are getting more challenging. Typhoons are getting stronger and the emergencies are getting more rampant. There is a strong call to step up humanitarian aid. We have to make sure that we continue to hone our capabilities,” Gordon said. Among the disaster and emergency response assets that will be strategically deployed in the regional hubs are ambulances, water tankers, rescue equipment and other assets that aim to bring PRC services closer to local communities. This includes welfare desks and health stations. “Ultimately, regionalization efforts will help the country in terms of molding every barangay into resilient communities. When you have these capacities, you have the power to predict, plan, prepare, and practice,” Gordon said. The 72nd anniversary of the PRC highlights the theme “#Resilience: Humanitarian responders over the years,” which celebrates over seven decades of empowering communities to rise up from the impact of calamities. 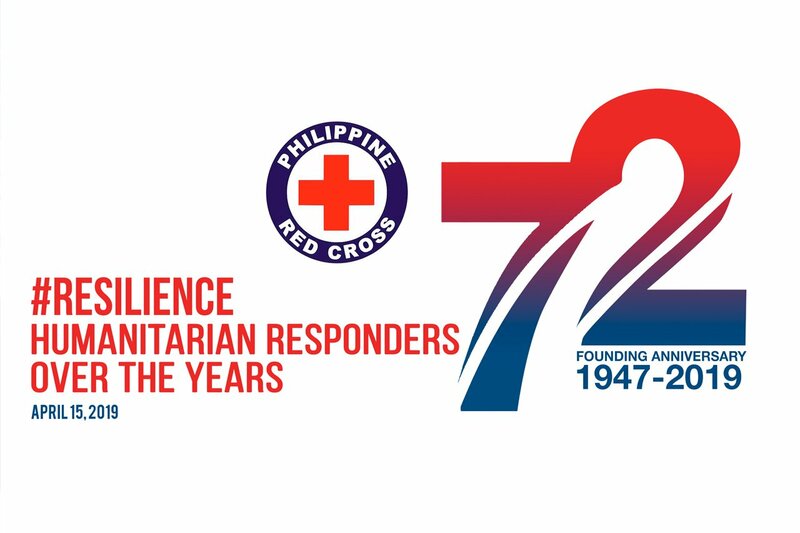 Aside from community resilience, the theme also recognizes Red Cross volunteers, staff, partners, and donors who have served as the backbone of PRC since it was founded in 1947. PRC history started as early as 1899 upon the suggestion of one of the country’s national heroes, Apolinario Mabini, under the leadership of Mrs. Hilaria Del Rosario Aguinaldo, wife of then president Emilio Aguinaldo. The organization applied with the International Committee of the Red Cross in Geneva, Switzerland to be recognized as an independent society. It was finally constituted on April 15, 1947 at the Malacanan Palace grounds in an impressive ceremony and Mrs. Aurora Aragon Quezon was the very first chairman of Philippine Red Cross. 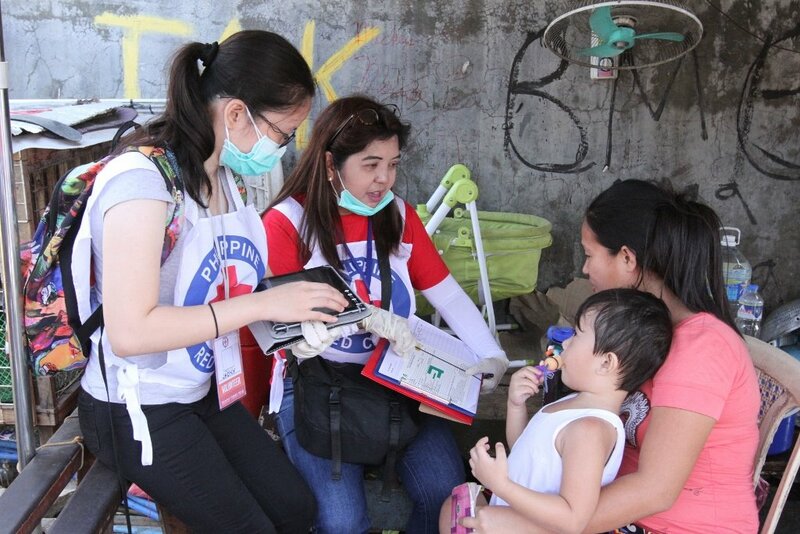 To date, PRC has cemented its role as the foremost humanitarian organization in the country—offering services in the fields of disaster management, safety, health, welfare, blood, Red Cross Youth, and volunteer. PRC, guided by its formula “Volunteers + Logistics + Information Technology,” has innovated to become a formidable Red Cross Society—with a pool of 2 million volunteers, 104 chapters, 150 ambulances, its own humanitarian ship, and hundreds of response and rescue equipment. It has received praises from national and international communities for its fast response to humanitarian concerns, such as the recent measles outbreak, water crisis, as well as typhoons Ompong (Mangkhut) and tropical depression Usman. During the 10th Asia Pacific Regional Conference of the International Federation of Red Cross and Red Crescent Societies (IFRC) in November 2018, President Rodrigo Duterte lauded PRC, led by Gordon, for its active role in humanitarian efforts, disaster reduction, and relief. “This is where the Red Cross shines. Always first and always there to help the people affected by the situation and always ready to do what is needed—to stay until the work is done and people regain their stability; a true example of community engagement for the common good,” Duterte said in his address. “This would not be possible without the support of our volunteers, our partners from the Red Cross and Red Crescent community—the IFRC, the International Committee of the Red Cross, and partner National Societies, as well as our corporate sponsors,” Gordon said. The Philippine Red Cross is all set for #SemanaSanta2019 deploying 2000 staff and volunteers and 150 ambulances nationwide to provide first aid assistance and to respond to any emergency cases that may arise. “We put up our welfare desks in different strategic places to accommodate the travelers’ inquiries and concerns. These desks will be in operation for the entire holy week. Our goal is to make sure our countrymen are safe”, said PRC Chairman and CEO Richard Gordon. PRC Chapters all over the country are on full alert. Various services offered are first aid, tracing assistance for people with missing companions or relatives, referral assistance and psychosocial support. First aid stations, welfare desks, emergency vehicles and ambulances are positioned in 34 bus terminals, 42 major highways, 54 churches, 13 beach areas and 9 sea ports. There are also stations in parks, pilgrimage areas and other destinations. In 2018, PRC helped a total of 8,844 people nationwide. 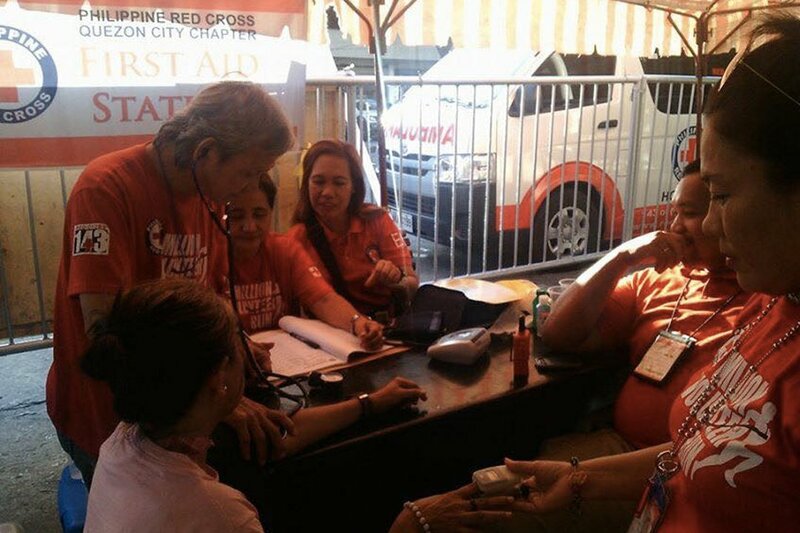 PRC staff and volunteers were on duty to serve everyone who needed help. For emergency and any untoward incidents, contact our 24/7 Operations Center. Dial 143 or 790-23-00 for assistance. 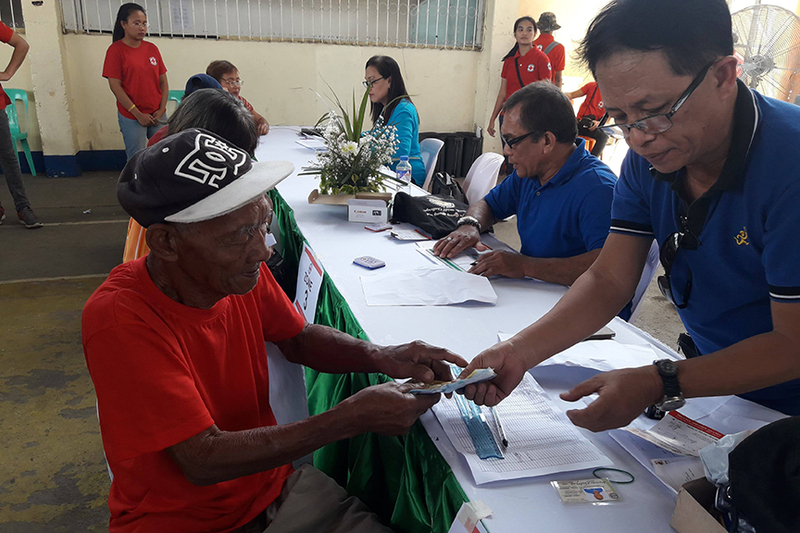 The Philippine Red Cross (PRC) continues to expand its healthcare program as it partnered with three organizations to strengthen services for cancer-stricken elderly patients through intensive training. PRC signed a memorandum of understanding (MOU) with the International Society for Geriatric Oncology (SIOG), the Philippine Cancer Society and the Philippine College of Geriatric Medicine (PCGM) to work on delivering an Advanced Training Course on Geriatric Oncology for clinicians in the Philippines. “This partnership is important for PRC, but it is important for the elderly battling cancer. By doing this, we will be able to educate people on how to provide quality care for the cancer-stricken geriatric population,” PRC Chairman Richard Gordon said during the ceremonial signing last March 28. Under the partnership, the four-team partnership will marry geriatrics and oncology to organize a series of courses highlighting the relevance of age and differing biology, the impact of physiological reserve on treatment options, and the selection of best treatments for the specific needs of patients. Present during the signing ceremony were Gordon, PRC Deputy Secretary General Dr. Susan Mercado, Philippine Cancer Society Executive Director Dr. Rachael Marie Rosario, SIOG Board Member and Past President Dr. Etienne Brain and PCGM Dr. Edwin Fortuno. Stay hydrated. Replenish. Drink water only from safe sources. If unsure, boil water. Eat fruits, vegetables and other nutritious foods. Avoid direct contact with an infected person. Apply sunscreen creams and lotion with SPF 30 or greater for skin protection. Use wide-brimmed hats and umbrella. Cover mouth and nose when coughing or sneezing. Do not blow your nose hard. As much as possible, limit sun exposure. If needed, do outdoor activities in the morning or late in the afternoon when it’s cooler. PRC advises the people to take precautionary measures during these months of vacation, travel and leisure for them to maximize the fun and bonding with their families and friends. For emergency and any untoward incidents, contact our 24/7 Operations Center. Dial 143 or 790-23-00 for assistance. 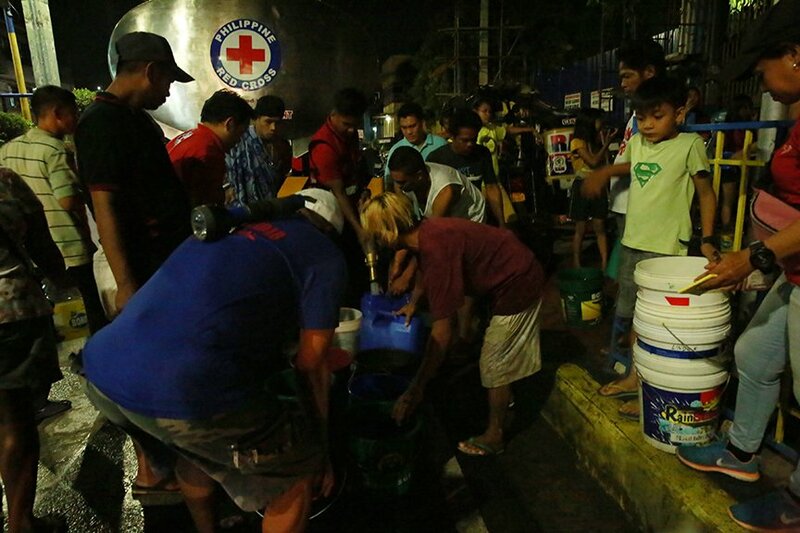 WHILE the water crisis in Metro Manila has abated, the Philippine Red Cross (PRC) continues to receive requests to augment water supply, especially in communities affected by the El Niño phenomenon. PRC Chairman Richard Gordon expressed concern over the health and economic issues that may rise due to lack of access to clean and safe water in provinces experiencing dry spell, including Catanduanes, Cebu, Lanao del Sur, Zamboanga Sibugay, Sarangani, and Pangasinan. “It is no joke not to have water. We saw it in the water crisis in Manila, where people become vulnerable to diseases. The worst may happen in provinces as livelihood opportunities are interrupted by the phenomenon,” Gordon said. In a letter addressed to Gordon dated March 21, Virac, Catanduanes Mayor Samuel Laynes requested PRC’s support in providing water tankers, water bladders, filtration systems, and technical personnel to address the water shortage in the area. “Local water utilities are unable to cope with water demand for household use, sanitation, and safe drinking water,” the letter reads. Lanao Del Sur Vice Governor Mamintal Alonto Adiong, Jr. also requested the use of PRC’s water tankers stationed at the Lanao del Sur-Marawi Chapter. Data from the PAGASA show that Lanao Del Sur and Catanduanes are among the 72 provinces that will likely experience dry condition, dry spell, and drought at the end of March. In Metro Manila, PRC continues to provide safe and clean water to communities affected by the water crisis in Metro Manila. 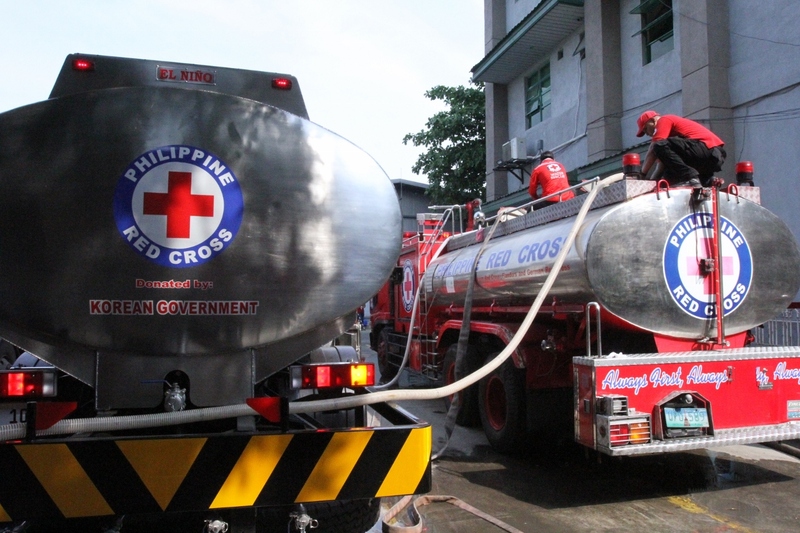 Since March 12, PRC has distributed 1,217,475 liters of water in hospitals and communities. The number of water tankers deployed has also doubled from six to 12. 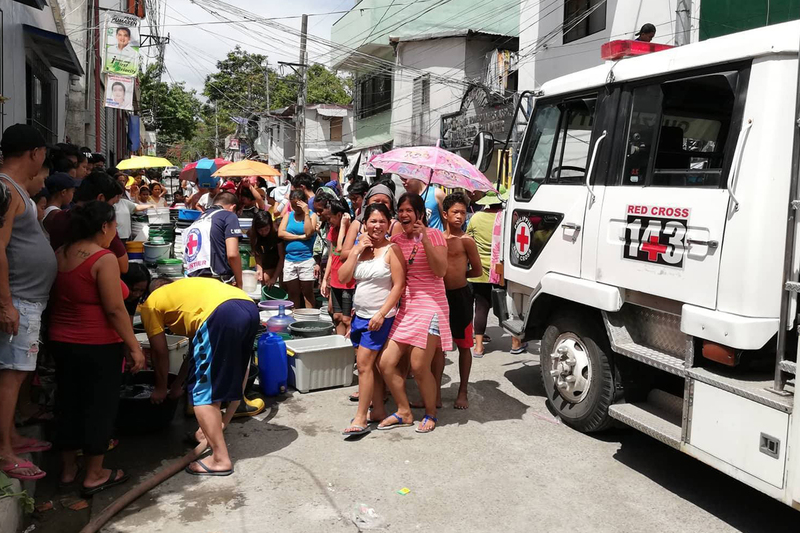 IT ONLY took a week for the Philippine Red Cross (PRC) to address the immediate needs of hospitals and communities heavily affected by the water crisis in Metro Manila. As of March 17, PRC has distributed 1,033,000 liters of clean and safe water to an estimated 43,000 individuals from Rizal Medical Center, Quirino Memorial Medical Center, National Kidney and Transplant Institute, East Avenue Medical Center, Mandaluyong City Medical Center, and the National Center for Mental Health. PRC has also started to provide water in communities, including Brgy. Old Balara and Brgy. Culiat in Quezon City; Brgy. Highway Hills in Mandaluyong; and Brgy. Tumana and Brgy. Nangka in Marikina. Chairman Richard Gordon said PRC earlier prioritized hospitals and medical institutions to ensure that medical services will not be interrupted. “We received requests from different hospitals and we delivered immediately. The condition in crisis-affected hospitals has now improved, but we are still on standby as this may extend until June. We are now delivering water supply to barangays to prevent health concerns,” Gordon said. Since March 11, a total of eight water tankers were deployed to deliver water in priority areas. PRC’s response to the water crisis is the fastest operations in the organization’s history. Meanwhile, PRC raises concern over the improper storage of water, where the use of uncovered containers poses threats of acquiring diseases, such as diarrhea. “Our water is safe for drinking. But when people use open containers, this can easily be contaminated. The use of proper storage, such as jerry cans with faucets, mitigates the risk of getting sick,” Gordon said. 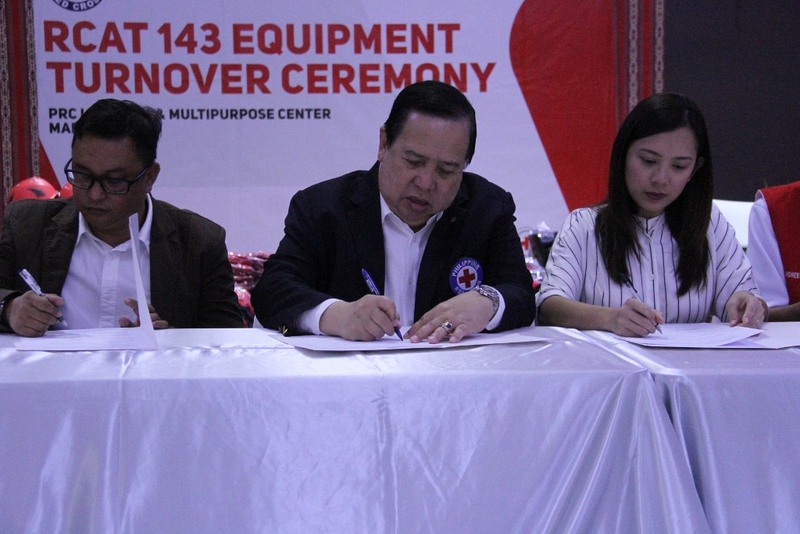 The Philippine Red Cross (PRC) and the Local Government Unit of Tanauan City on Friday signed a memorandum of agreement (MOA) for the establishment of a Red Cross branch in the locality. 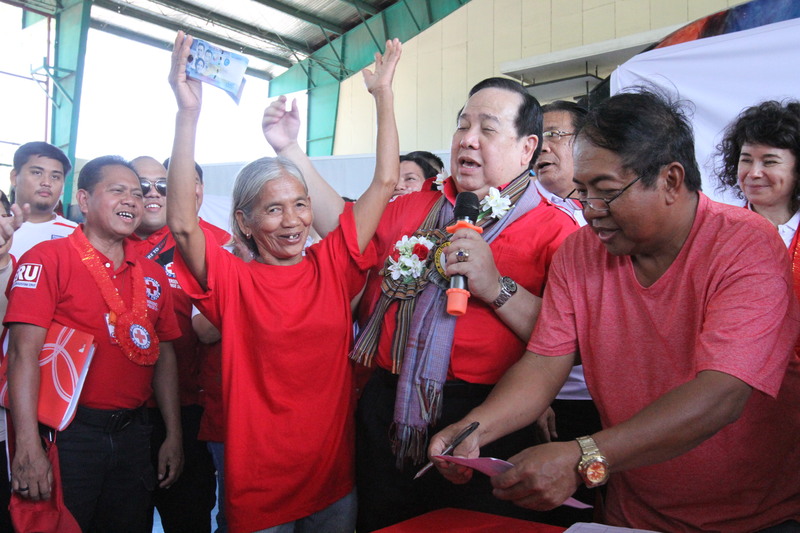 Sen. Richard Gordon, chairman of PRC, said the new branch will not only help the Red Cross reach out to the most vulnerable in Tanauan, but will boost the disaster and emergency preparedness of the city. “We have gone full circle in terms of saving lives. It is important that the presence of Red Cross is strong in all parts of the country so we can further assist our people,” Gordon said. Under the memorandum of agreement, PRC-Batangas’ soon-to-rise Tanauan City branch will be housed in a two-story building located at the old city hall compound. PRC, through the Batangas Chapter, will provide qualified staff and volunteers who will deliver the Red Cross services on the local level—blood, disaster management, safety, health, among others. The MOA signing ceremony was attended by Tanauan City Mayor Jhoanna C. Villamor, PRC Secretary General Elizabeth Zavalla, and PRC Batangas Chapter, led by Chairman of Board of Directors Atty. Vicente Mayo and Chapter Administrator Ronald Generoso. ILOCOS Sur government officials lauded the Philippine Red Cross (PRC) for its massive recovery operations for communities struck by Typhoon Mangkhut, locally known as Ompong. During the distribution of household livelihood assistance to 501 families from the municipalities of Cabugao and Sinait in Ilocos Sur, Sangguniang Panlalawigan Board Member Efren Rafanan said PRC is the first organization to provide a substantial amount of P10,000 to aid typhoon-affected communities. “Nobody has ever given P10,000 to the people. Even the local government units here have not. It is evident that the Red Cross cares. We thank the Red Cross for always being there for the past years and until now. I hope we could have a better relationship,” Rafanan said. This was echoed by Cabugao Acting Mayor Deogracias Jose Victorino Savellano—noting that the amount will be beneficial to help families start anew. “Dumating na ang tulong na hinihintay ng mga kababayan natin. We do not welcome disasters, but we welcome any assistance to address the damages brought by Ompong. First time naming makatanggap ng P10,000 para sa beneficiaries,” Savellano said. The household livelihood assistance is part of PRC’s early recovery operations, in partnership with the Spanish Red Cross. 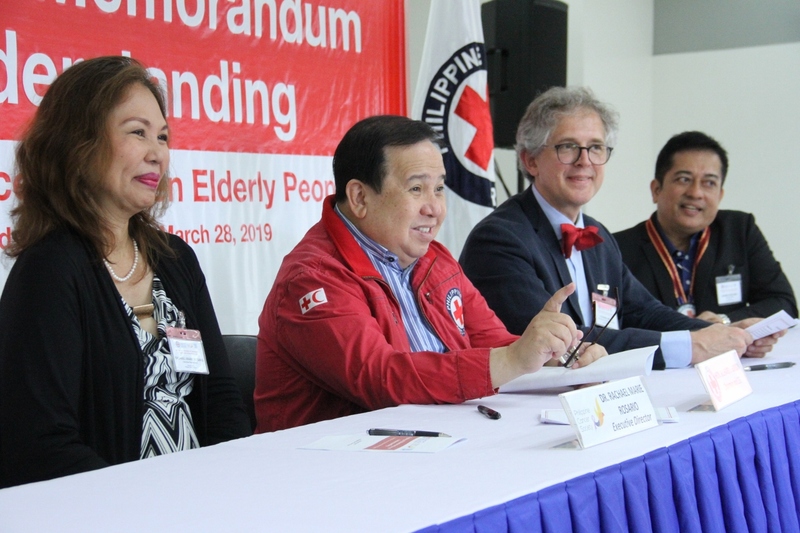 PRC Chairman Richard Gordon said the activity mirrors the organization’s commitment to serve the most vulnerable communities during and after a disaster. “When the world no longer watches, andito pa kami. It’s been six months since Ompong, pero hindi namin kayo nakakalimutan,” Gordon said. The household livelihood assistance provides opportunities for families to start income-generating activities to help them address their basic needs. “Ayaw naming maging palaasa kayo. Kailangan magtrabaho tayo dahil hindi habang buhay nakayuko tayo,” Gordon said.